I try to avoid discussing and mixing politics with my posts but frankly it’s impossible when government is so heavily involved in agriculture. The very existence of government subsidies (read tax payer $) is what keeps destructive, corporate agriculture alive and thriving. I see it all the time, other small farmers and consumers calling for equal or greater subsidies to small farmers. The thought seems to be that it’s only fair that if the government is going to help the big guys, the little guys should get “help” too. It doesn’t make the farmers more prosperous, it brings in corporate interests who, like hyenas following the scent of blood from a dying animal, see an opportunity to line their pockets and grow their portfolios. This is how we got the Archer Daniel-Midland, Cargill, Tyson, Smithfields and others. There are several government programs (tax $) that give small, beginning, and minority farmers money to “help” them get started or to implement practices that are conservation minded. Now when we first got started, I did look into some of these government grants and programs. What I found was just more ridiculous bureaucratic foolishness that wastes money, time and resources. For example, I had a well on the property we were leasing. I wanted to explore the possibility of using that well for irrigation and for watering livestock. Our government would not allow for that, they required that we drill a new well. Not only did they require a new well be drilled, but that we install a pump that is twice as big as we needed! I don’t advocate for applying for such programs simply because of how infuriatingly wasteful and inefficient I found them to be, but I came to the conclusion that they are unethical. Several years ago, I met a family who farms as their sole source of income after losing their construction business. They shared with me that they refused to seek any government funds because it was not right for them to take money that had been taken from fellow tax payers for the sake of helping their farm pay for fencing, seeds, equipment and such. I couldn’t agree with them more. If I want to be a farmer, let it be by my own merit, not by looking for a hand out. But back to the whole ending subsidy idea. There are many who will say that I’m an uneducated idiot for suggesting such a thing and that doing so would force farmers out of business and that the corporations would just get stronger. Well, they’re wrong and I can prove it. Back in the 1980’s, New Zealand was in a financial crisis. Government spending was 44% of the GDP and the national debt was 65% of the GDP. A newly elected government recognized that some drastic had to be done and one of those drastic measures was to eliminate agricultural subsidies immediately. They didn’t slowly phase them out or put them on some 10 year reduction plan. Overnight the money stopped, cold turkey. New Zealand’s economy is even more dependent on agriculture than the United States and many predicted a disaster. Well a disaster never happened. The corporations didn’t take over, corporations love welfare and since the government wasn’t handing out any more, small family farms stepped up and the corporate conglomerates lost power. Read the following excerpts with links to articles. Today, New Zealand’s farmers are some of the world’s most productive and innovative. Removing government assistance completely, New Zealand officials say, freed farmers to produce what people really want, and to do so in an efficient way that could turn a profit. Since the reforms, New Zealand farmers have cut costs, diversified their land use, and developed new products, Clark says. Additionally, productivity in agriculture has grown faster than the New Zealand economy as a whole. 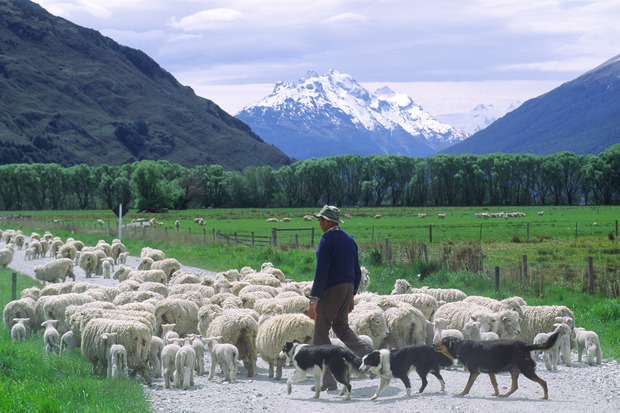 By 1984, New Zealand sheep farming was receiving about 44 percent of its income from government subsidies. Its major product was lamb, and lamb in the international marketplace was selling for about $12.50 (with the government providing another $12.50)per carcass. Well, we did away with all sheep farming subsidies within one year. And of course the sheep farmers were unhappy. But once they accepted the fact that the subsidies weren’t coming back, they put together a team of people charged with figuring out how they could get $30 per lamb carcass. The team reported back that this would be difficult, but not impossible. It required producing an entirely different product, processing it in a different way and selling it in different markets. And within two years, by 1989, they had succeeded in converting their $12.50 product into something worth $30. By 1991, it was worth $42; by 1994 it was worth $74; and by 1999 it was worth $115. In other words, the New Zealand sheep industry went out into the marketplace and found people who would pay higher prices for its product. You can now go into the best restaurants in the U.S. and buy New Zealand lamb, and you’ll be paying somewhere between $35 and $60 per pound. If you ask me, this is what the American Farmer needs.